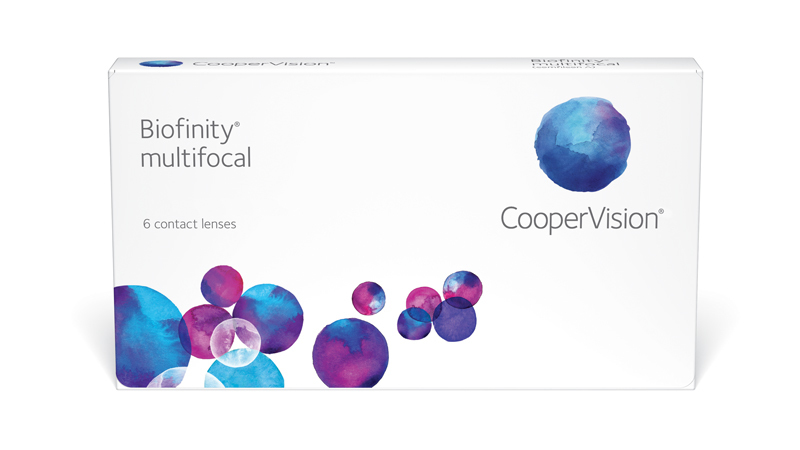 Biofinity multifocal is everything you'd expect in a contact lens. CooperVision's Balanced Progressive Technology delivers exceptional vision at all distances, while a streamlined fitting approach means fitting presbyopes just got easier. And, thanks to CooperVision's Aquaform® Comfort Science™, your multifocal patients can enjoy the same comfort benefits as your Biofinity and Biofinity toric wearers. *Biofinity lenses are recommended for monthly replacement and are CE marked under the Medical Devices Directive for occasional overnight or up to 29 nights’ continuous wear under the guidance of the eyecare practitioner. 1Biofinity lenses are recommended for monthly replacement and are CE marked under the Medical Devices Directive for occasional overnight or up to 29 nights’ continuous wear under the guidance of the eyecare practitioner. Creates an optimised balance of high oxygen permeability, good water content, and optimum modulus to provide increased breathability and moisture in a soft, flexible lens.